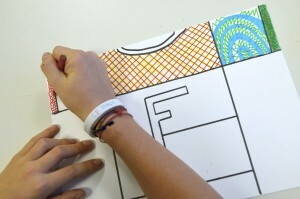 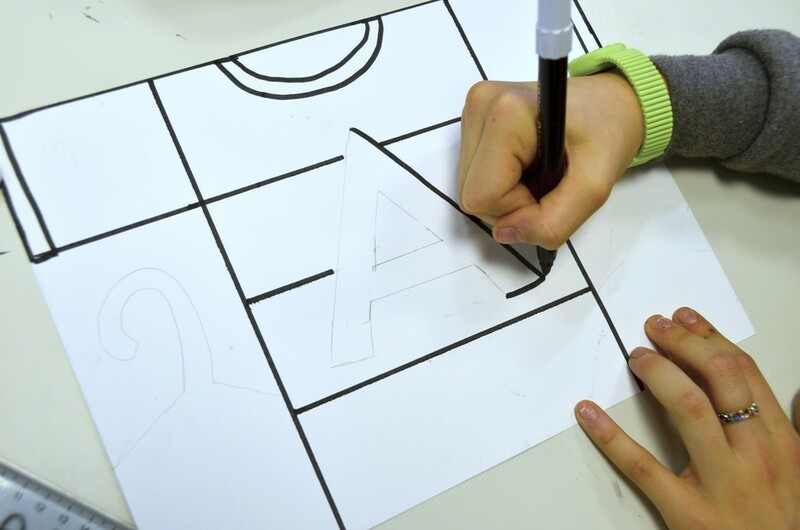 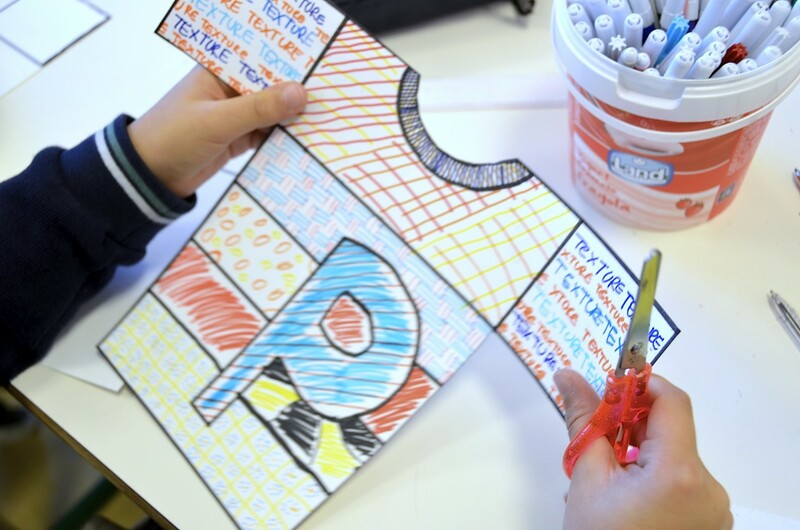 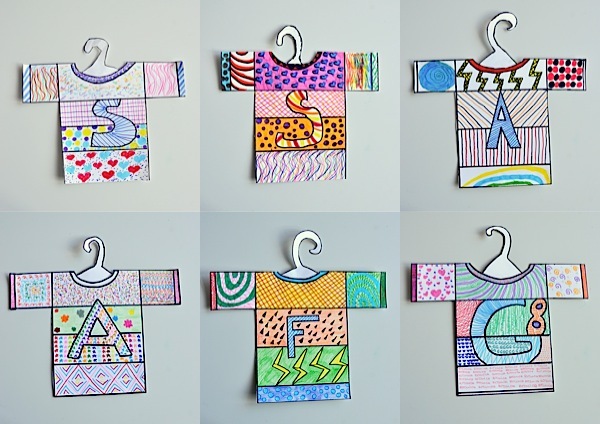 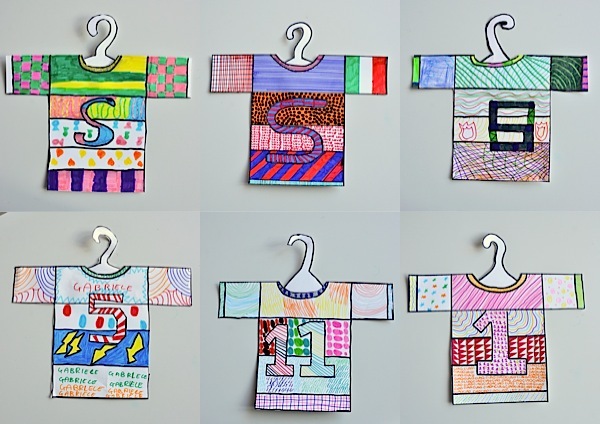 We have created many graphic textures to decorate a small T-shirt made of paper! 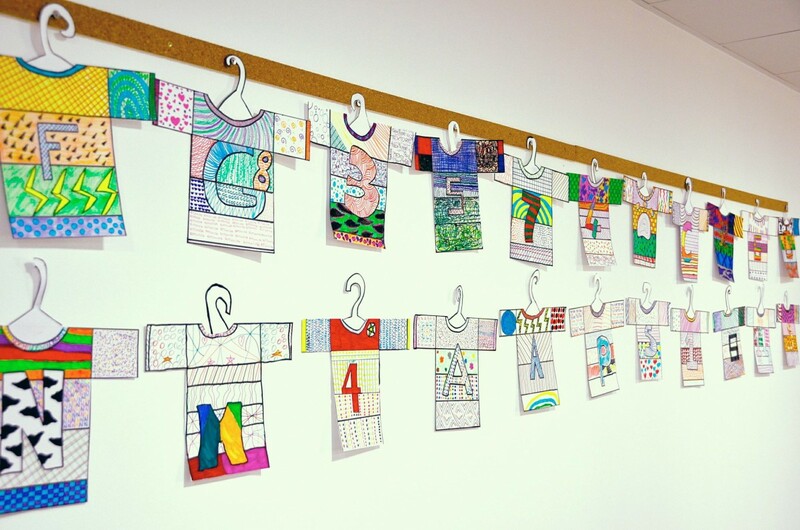 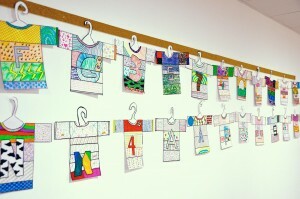 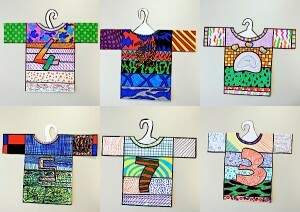 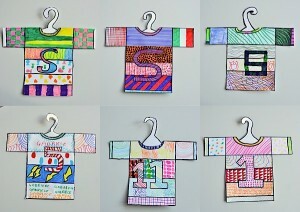 Here are the custom shirts made by students of grade 6th, exhibited as if they were hung in a colorful shop! 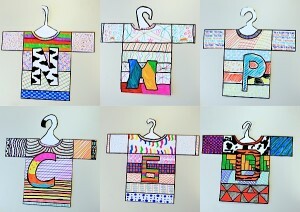 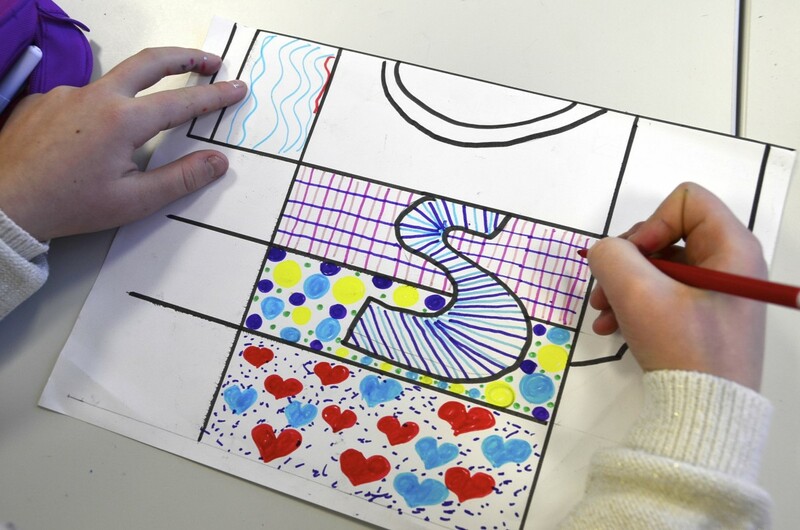 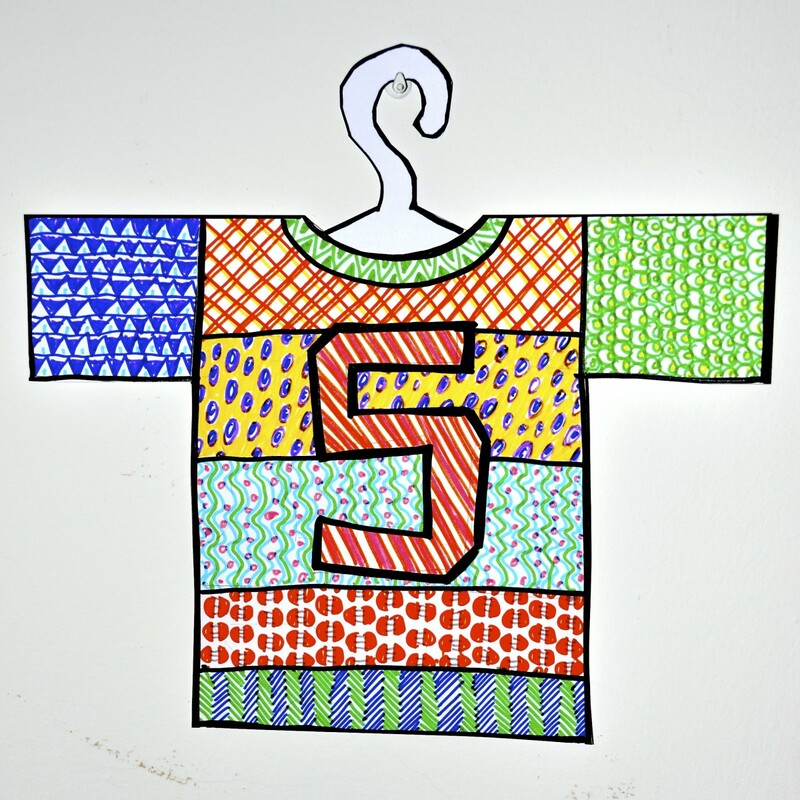 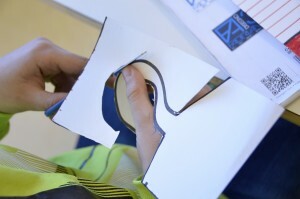 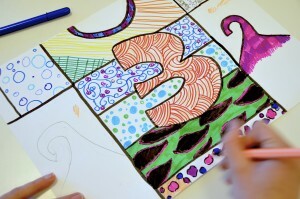 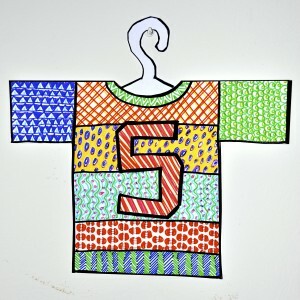 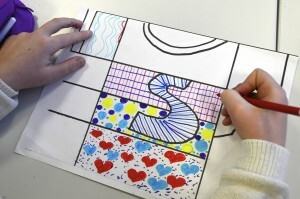 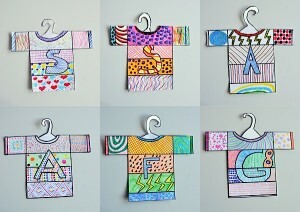 The designs are made with colored felt pens, and from the same sheet of paper was cut the hanger. 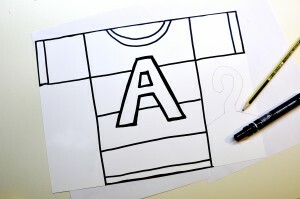 That it was then glued behind the collar of the T-shirt for expose it.